Camp Varsity has been locally-owned and family operated since 1966. 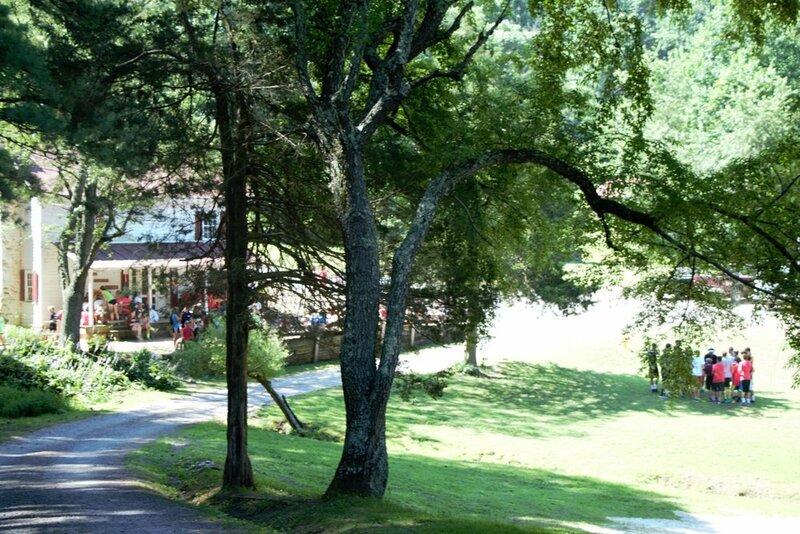 We are a rustic, outdoor, residential, recreation Camp located in Madison, Virginia. We are passionate about sharing our love of nature, campfires, laughs, lake mud, friendships, music, camp games, fun and all other things CAMP! "Come As You Are" Culture: We work to support our Staff and Campers in a way that they feel safe and free to be themselves. We have gone (mostly!) paperless! Most necessary information regarding Camp is available here on our website. Our application process is online and begins in January. A $200 deposit per week is required once your Camper is enrolled in order to reserve his/her spot. Please visit the Register tab on our website for more details. All forms requiring signatures can be submitted online through your Camp Account. Your Campers Application + Photo, Health Form, and credit card payments are also available to you by signing into your Camp Account at any time. There is no need for you to mail in your Camper's Application or Health Form. Camp weeks run from Sunday afternoon through Saturday morning. Check-in for all new and returning campers is between 12:00 p.m. and 3:00 p.m. on Sunday. Lunch is not provided for incoming campers on Sundays. Check out time on Saturday is between 9:00 a.m. and 12:00 p.m. In the event you have to drop off or pick up your camper outside of those times please contact us to coordinate. We prefer that you do not request an early pickup before 7:30 a.m. or a late drop off after 9:00 p.m.
Transportation to and from Camp Varsity is the responsibility of the Camper. Directions can be found here! Campers are assigned to cabins according to age. They follow activities during the day with their Cabin mates under complete supervision. We take extra care and consideration for our first time Camper families and our younger Campers that may need a little extra support and nurturing before AND during their week at Camp. If at any point you have specific questions leading up to Camp or if we can help support your Camper get ready for Camp, please reach out to us! We are fully conscious of our great responsibility in the care of your child - we have children of our own. We also realize how uncomfortable and difficult it can to be out of touch with your child! If at any time you have any questions or concerns, if you are wondering how your child is adjusting to Camp or how they are interacting with other campers/counselors, please contact us. We are happy to update you! We do however, discourage unnecessary calls either incoming or outgoing on the Camp phone line because of the interruption to the schedule. It is important that the phone line is kept open for emergencies. In any case of emergency, you will be notified immediately. In the event that the primary contact is not available, we will then reach out to your secondary/backup contact person. In the event of an emergency at home and you need to contact your Camper, please call the camp phone line and we will locate your Camper immediately. We do not allow campers to have or use cell phones or any other electronic device with wi-fi compatibility at Camp. You can read more about this under the "Policies, Procedures + Safety" tab. We ask that you support this policy and make certain that your Camper leaves these items at home. Any phones (or devices) that are brought to Camp will be collected and kept in a safe and secure location in the Staff Office until your Camper is ready to head home. Campers do not have access to email or the internet while on the mountain. Please do not send emails to your Camper at our Camp email address. Should you need to pass information regarding scheduling changes, pickups, etc. please call us or email the Camp Staff directly at info@campvarsity.net and we will coordinate and communicate that to your Camper and to his/her counselors. No texting, no emails, no phones...wondering how to communicate to your Camper? Answer: SNAIL MAIL! Seriously! Campers LOVE writing, sending and receiving letters the “old school” way! Pre-addressing and pre-stamping the envelopes ahead of Camp makes this easy and fun. Packing stationary, some pens, along with envelopes in a ziplock bag is also helpful to keep your Campers “letters-to-home kit” safe and dry. Care Packages are welcome! Please make sure that Camper’s name is on the envelope or package. 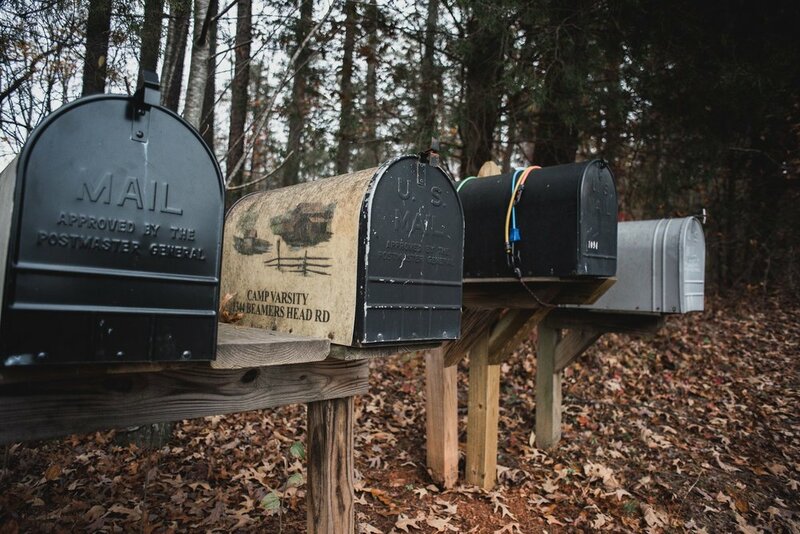 Please do not send letters or packages which require a signature by USPS Express Mail as postal service at post office will not deliver to Camp, and necessitates a 10 mile trip to the post office to retrieve. Both UPS and Fedex will deliver to Camp. visiting for the weekend and looking for some local recommendations? The town of Madison is small but has several great options! Mad Local is a great eatery with southern flare right on Main Street. Jenny Lynd’s is a good little pizza spot and is located right on Main Street. The Piedmont Deli located on Rt. 29/Main Street serves quick sandwiches (eat in or carryout), local jams and coffees. The Madison Inn for breakfast, lunch and dinner for casual, American and Italian cuisine. Pig-N-Steak located in Madison on Washington Street is known for their barbecue. Yoder's Country Market located on route 29 just south of town is great for quick, fresh sandwiches, hand-scooped ice cream. They also have a fun petting zoo! Some additional local places of interest: Shenandoah National Park, White Oak Canyon, Old Rag Mountain, the Rapidan River, Grave's Mountain Lodge, Swinging Bridge, Hoover's Camp, and many local Virginia winery and brewery options abound! Visits to Campers staying consecutive weeks are welcome on Saturday's and Sunday’s. We love meeting families, grandparents, cousin's, mom's, dad's, fur-babies, sisters, brothers, and other special friends! We ask that weekend Visitors do keep in mind that during weekends our Staff is very busy with lots of work to do, Camper's to keep safe, check-in/check-out's to manage and extra cars on the mountain to juggle. We have friendly Camp doggies and horses here on our property that roam and like to join in on the fun, but we all have to keep a special eye out for our animal friends especially on our busy weekends. Please notify the Staff if your Camper is to leave Camp with you during a weekend visit as you will be required to sign out upon leaving AND sign in your camper upon returning. The Camp sign-out book is located inside the Camp Store.